Breathe the air in a room where an Extra Large Room HEPA Air Purifier is running, and you’ll immediately notice the difference. The air is purer, cleaner and even easier to breathe because it is filtered free of particulates that affect everyone’s breathing, but particularly effect people affected by allergy and asthma. The HealthMate 400 air purifier is simply a great value in a high-powered air purifier. It can clean rooms up to 1500 square feet (that’s about 38’6” X 38’6”) and it comes with three speeds and a HEPA filter that removes 99.97 % of particles in the air. Why is that important? We’re talking about particulates that are small enough to cause big trouble, that’s why. People susceptible to breathing issues often suffer in circumstances where allergens like pollens, mold spores, pet dander or dust mites pollute the air. So why deal with that risk when a HealthMate Air Purifier cleans the air, making it safe and healthy for everyone who lives, breathes or works there. It even controls odors, be they temporary or persistent. 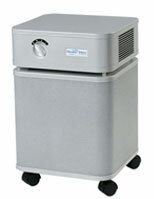 Best of all, this air purifier rolls where you want it do go on solid casters that make it easy to transport. Portable healthy air never looked better, either, with a sleek, solid steel-frame construction that keeps this air purifier running silent and steady. The Blueair 503 Air Purification System is powerful enough for very large rooms and offers the same 99.97% air purification down to 0.1 micron levels of particulates. This unit is an energy sipper too, using only 20 watts of electricity on its most economic setting. And it works so quietly you’ll hardly know it’s there. Winner of the coveted Excellent Swedish Design Award, the Blueair 503 Air Purification System is a beauty inside and out. Speaking of quiet, really quiet, the Blueair 603 Air Purification system is also an energy sipper that runs almost silently and produces almost no draft while removing 99.97% of airborne particulates at 0.1 micros. It comes with a 10 year warranty too. Love pets, but don’t like the allergens they produce around the house? The Pet Machine Air Purifier uses 60 ft. of True Medical Grade HEPA filter traps to remove pet allergens throughout the house. This nifty unit is easily transported from place to place on casters so you can run it for odor control near the kitty box and wheel it over by the dog beds to snuff up 99.97% of the odor and such. The 15lb Specialty Carbon Filter with special blend of Carbon/Zeolite is what the Pet Machine uses to purify air around the house. It also contains a Large Size Particle Pre-Filter and even a Medium Size Particle Pre-Filter. In other words, this Austin Pet Air Purifier does its job through and through. Clean air. Odor control. Allergy-free air. An Extra Large Room HEPA Air Purifier delivers it all.